Alternatives is 1 of 29 Indiana domestic violence shelters. We serve a six county area: Hamilton, Hancock, Henry, Madison, Marion, and Tipton. Alternatives' main facility is located in Madison County and includes the administrative offices, emergency shelter, employment training center and transitional housing program. Hamilton County office is located within the Noblesville Police Department. From this office, victim advocacy and crisis response is provided for victims in Hamilton County. Elwood Outreach office is located within St. Vincent Mercy Hospital. From this office, victim advocacy and crisis response is provided for victims in northern Madison County. Hancock County office is located within the Greenfield Police Department. From this office, victim advocacy and crisis response is provided for Hancock County. Tipton County office is located within IU Health Tipton Hospital. From this office, victim advocacy and crisis response is provided for victims in northern Madison County. 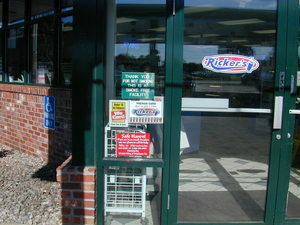 If you are a victim in crisis, you can go to a Safe Haven site at Rickers convenience stores to call 911 or Alternatives for help.